Thank you to the Class of 2010 for giving me the opportunity to attend ACEP’s ED Direc-tors Academy (EDDA) in Dallas, Texas. This program provided me with invaluable man-agement/operations training and professional development skills that I will utilize through-out my career. Throughout my education and training, I have strived to maximize the impact I can have for my patients by complementing my clinical training with targeted experiences and education in leadership and operations. The ED Directors Academy was a perfect opportunity for me to build on experiences that I had prior to and during residency. The Directors Academy is a management training course that brings together leaders from across the nation to partici-pate in courses addressing a wide range of topics related to managing an emergency de-partment. This experience allowed me to not only gain knowledge on specialized topics from experts in the field but also interact and network with innovative and inspiring leaders from across the nation. The coursework included diverse topics such as leadership, operations, emer-gency department flow, patient satisfaction, hospital quality, billing, and many others. All of these provided me with concepts that I could immediately apply to my administrative work as a resident. However, potentially even more valuable than this was the accelerated professional development I obtained by networking with other leaders and learning from their unique experiences within diverse practice environments across the emergency medi-cine landscape. I gained insight into what a career in administration entails, the conflicting and multi-faceted challenges that an administrator faces, and how to balance those respon-sibilities with maintaining clinical expertise while simultaneously preventing the burnout that many administrators experience. My long-term career goal is to become a leader within an emergency department and hospi-tal while striving to optimize operational systems, maximize efficiency, and eliminate waste in order to provide the highest level of care for my patients. I firmly believe that quality clinical care must be supported by synergistic processes and systems that allow physicians to maximize their effectiveness and enhance the patient experience. The EDDA program was a unique experience that allowed me to continue to learn and grow as a leader in emer-gency medicine and will ultimately be instrumental to my future success. DIRECTED BY : Fulvio Sestito. PRODUCED BY : Rebecca Berrih, Evan Cholfin. PRODUCTION BY : Elysian Fields Entertainment. 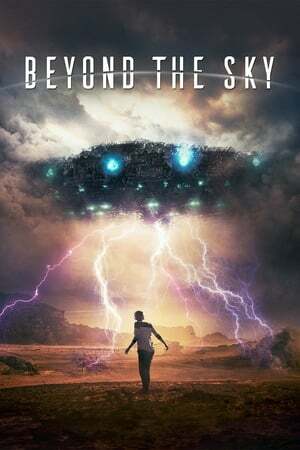 Streaming Beyond The Sky 2018 Online Free Megashare, streaming Beyond The Sky film, Beyond The Sky 2018 live streaming movie, Beyond The Sky 2018 movie trailer, Watch Beyond The Sky 2018 Online Free, download movie Beyond The Sky now, Watch Beyond The Sky 2018 Online 123movies, live streaming movie Beyond The Sky, download Beyond The Sky 2018 movie now, Watch Beyond The Sky 2018 Online Free Viooz, Beyond The Sky 2018 live streaming film online, Watch Beyond The Sky 2018 Online Free megashare, Watch Beyond The Sky 2018 Online 123movie, download movie Beyond The Sky 2018, Watch Beyond The Sky 2018 Online Putlocker, watch film Beyond The Sky 2018 now, watch full film Beyond The Sky online, Streaming Beyond The Sky 2018 For Free Online, Watch Beyond The Sky 2018 Online Viooz, Watch Beyond The Sky 2018 Online Free hulu, Watch Beyond The Sky 2018 For Free online, movie Beyond The Sky 2018 trailer, Watch Beyond The Sky 2018 Online Free Putlocker, watch movie Beyond The Sky 2018 online now, Beyond The Sky 2018 Watch Online, Watch Beyond The Sky 2018 Online Free 123movie, movie Beyond The Sky download, live streaming film Beyond The Sky 2018, watch full Beyond The Sky film online, streaming Beyond The Sky movie, download full film Beyond The Sky 2018, Watch Beyond The Sky 2018 Online Free netflix, Watch Beyond The Sky 2018 Online Megashare, download film Beyond The Sky now, watch full film Beyond The Sky, download Beyond The Sky 2018 movie. 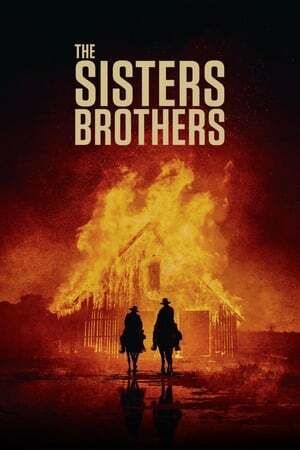 Watch The Sisters Brothers 2018 Online 123movies, watch The Sisters Brothers movie online now, Watch The Sisters Brothers 2018 Online Free megashare, The Sisters Brothers 2018 movie, Watch The Sisters Brothers 2018 Online Free 123movie, Streaming The Sisters Brothers 2018 Online Free Megashare, movie The Sisters Brothers 2018 download, Watch The Sisters Brothers 2018 Online Megashare, trailer film The Sisters Brothers, download The Sisters Brothers movie, movie The Sisters Brothers 2018 trailer, movie The Sisters Brothers streaming, Watch The Sisters Brothers 2018 Online Free Putlocker, watch full The Sisters Brothers film, Watch The Sisters Brothers 2018 For Free online, The Sisters Brothers 2018 Watch Online, Watch The Sisters Brothers 2018 Online Viooz, Watch The Sisters Brothers 2018 Online Free, Watch The Sisters Brothers 2018 Online Putlocker, Watch The Sisters Brothers 2018 Online Free netflix, streaming movie The Sisters Brothers, Watch The Sisters Brothers 2018 Online Free Viooz, watch full film The Sisters Brothers 2018, download full film The Sisters Brothers 2018, The Sisters Brothers live streaming film, Streaming The Sisters Brothers 2018 For Free Online, Watch The Sisters Brothers 2018 Online 123movie, The Sisters Brothers 2018 live streaming film online, streaming The Sisters Brothers, film The Sisters Brothers 2018 download, Watch The Sisters Brothers 2018 Online Free hulu. DIRECTED BY : Brad Furman. Movie ‘City of Lies’ was released in September 7, 2018 in genre Drama. Brad Furman was directed this movie and starring by Johnny Depp. This movie tell story about Los Angeles Police Department detective Russell Poole has spent years trying to solve his biggest case — the murders of The Notorious B.I.G. and Tupac Shakur — but after two decades, the investigation remains open. Jack Jackson, a reporter desperate to save his reputation and career, is determined to find out why. In search of the truth, the two team up and unravel a growing web of institutional corruption and lies. 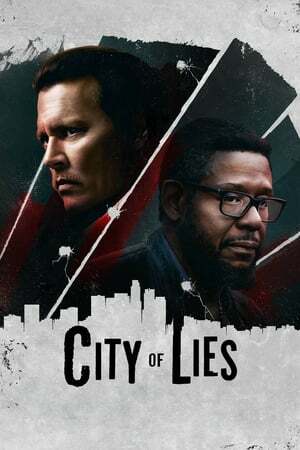 watch City of Lies movie now, Streaming City of Lies 2018 Online Free Megashare, City of Lies 2018 Watch Online, Watch City of Lies 2018 Online Viooz, City of Lies movie streaming, film City of Lies download, Watch City of Lies 2018 Online Free Putlocker, film City of Lies streaming, City of Lies 2018 film trailer, download movie City of Lies now, Watch City of Lies 2018 Online Free hulu, download film City of Lies now, Watch City of Lies 2018 For Free online, live streaming film City of Lies 2018, Watch City of Lies 2018 Online 123movies, Watch City of Lies 2018 Online Megashare, Watch City of Lies 2018 Online Free netflix, City of Lies film download, Streaming City of Lies 2018 For Free Online, Watch City of Lies 2018 Online Free megashare, City of Lies live streaming movie, film City of Lies online streaming, film City of Lies, Watch City of Lies 2018 Online Free, film City of Lies 2018 online, Watch City of Lies 2018 Online Putlocker, watch full City of Lies 2018 film online, Watch City of Lies 2018 Online Free Viooz, Watch City of Lies 2018 Online Free 123movie, Watch City of Lies 2018 Online 123movie, City of Lies 2018 movie download. Thank you to the Spirit of 2010 for providing me with the opportunity to attend the Ecela Spanish Schools in South America. The ability to pursue this type of training was a rare experience and provided skills that will be invaluable over my career. Prior to enrolling in medical school, I had studied Spanish for several years in school, but had not had the opportunity to receive formalized Spanish language instruction since college. Next year, I will be working in a community with a significant Spanish-speaking population – I wanted to make sure that I can easily communicate with my patients. For my elective experience, I attended courses through the Ecela Spanish schools in Chile and Argentina. This experience provided a cultural and language immersion with training through a well-established, structured Spanish immersion course. The program set-up involved several small group lessons with a focus on grammar and fluency, followed by conversation classes led by an instructor. During the conversation classes, we would focus on the concepts learned in the preceding grammar class. I also took several hours of semi-private lessons with an emphasis on medical vocabulary, history taking, and the physical exam. In addition, we practiced consenting for procedures, describing medical treatments, and answering patient questions. Our instructors also took the time to focus on some important cultural aspects of communication that are unique to Spanish. In addition, we discussed common cultural practices and customs, as well as colloquial or slang terms that patients may commonly use. One of the benefits of being in an immersion setting is that you are speaking Spanish for the entire day – not just in class. As a consequence, you improve much more rapidly than in a typical class setting. In addition, learning Spanish in two different countries (with vastly different cultures and accents, despite being geographically adjacent) was incredibly useful. I feel that this will help me to better understand and communicate with Spanish speaking patients from different parts of Central or South America. I learned a great deal through the courses and felt that my fluency improved to a significant degree. Since returning, I have noted a significant improvement in my ability to use Spanish on shift. One patient in particular stands out – she gave me a hug at the end of her visit and told me how grateful and relieved she was that her doctor spoke Spanish. I hope to use the skills I have gained to provide the best possible patient care both next year and throughout my career. Thank you again to the Class of 2010 for supporting this rare opportunity and incredible learning experience. Thank you to the Spirit Award for providing me with the opportunity to attend the Humanitarian Response Intensive Course (HRIC) hosted by the Harvard Humanitarian Initiative. It’s been a long time dream of mine to attend this two-week workshop and it was made possible by the class of 2010. HRIC brings humanitarians together from all over the world to learn, collaborate and their field of practice. It focuses on the tenets of humanitarian intervention and the historical context that informed these tenets. Unfortunately, humanitarian response has all too often been initiated without sufficient forethought resulting in further harm instead of relief. As doctors it’s so easy to jump at international opportunities to care for those in need, but HRIC provides a sobering reminder of the pitfalls that follow poorly planned interventions. Medical care is only as sustainable as the system providing it and unsustainable solutions may actually do more harm than good. That action should be taken to prevent or alleviate human suffering arising out of disaster or conflict, and that nothing should override this principle. I was deeply moved by the embodiment of this principle among people who have been afforded lives far less flexible than mine. It was the most diverse and accomplished classroom I have ever been in. HRIC and the colleagues I met there inspired me to be pragmatic without sacrificing my ideals. This is an uncomfortable interplay full of compromise, but one that ultimately allows for evolution of my practice as a physician and a humanitarian.